The Chief range is powered by Thunder Stroke 111 engine that churns out 139 nm of torque at 2,600 rpm. The range will be sold through completely-built-up (CBU) route. The Thunder Stroke 111 engine features 111 cubic inch displacement and delivers the raw power and iconic styling that have long been hallmarks of the legendary Indian Motorcycle brand. The 49-degree V-Twin engine is the new heartbeat of Indian Motorcycle and marks the first clean-sheet Indian Motorcycle engine design in seven decades. With parallel pushrod tubes, finned heads, down firing exhausts, left side air intake, and the proportions and layout familiar to Indian Motorcycle fans around the world, the Thunder Stroke 111 is sure to inspire both experienced and new riders. "This launch holds great importance for us. We launched the marquee bikes in the US early last year and were appreciated immensely for reviving history. 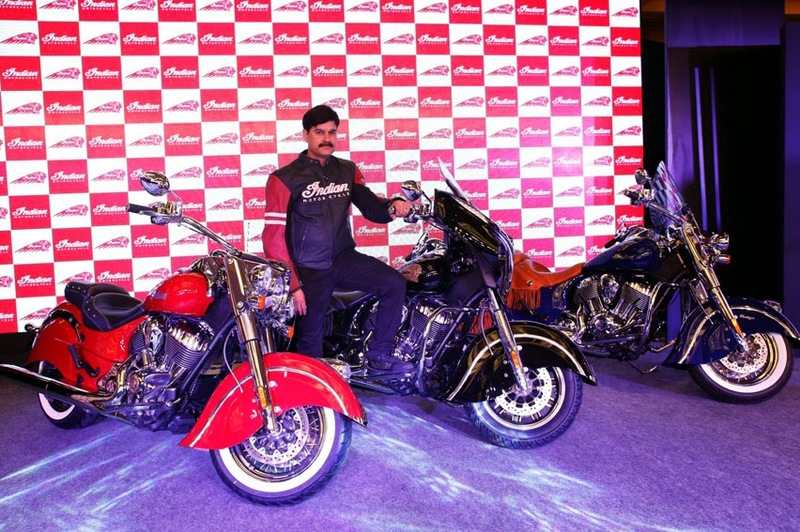 The Chief line enthralled the bikers and created an aura for itself within few days of the launch. Reviving the legend with a new heart but its same soul, Polaris India has ended the long wait for Indian Motorcycle enthusiasts with this launch. We are now giving enthusiasts a chance to own a piece of history in a modern package," said Pankaj Dubey, Managing Director, Polaris India Pvt. Ltd.